Adidas' silence on whether it will take action against World Cup biter Luis Suarez speaks volumes about the value of the Uruguayan striker to the brand, says Rupert Pratt, managing director of sports sponsorship agency Generate. On the other hand, it comes as no huge surprise that 888poker has washed its hands of him. Like any sponsorship deal, it’s hugely important for brand ambassadors to exude the same values and ideals of the particular company that they are representing. Successful global brands such as Adidas and 888poker are built on their reputations and when the likes of Suarez show unsportsmanlike conduct to this extent, they find themselves stuck between a rock and a hard place. Drop them and lose out on the value they bring to your brand or keep them and face criticism that you are endorsing bad behaviour. 888poker has built its reputation on fair play so having an ambassador who flies in the face of those values left the brand with no choice but to say goodbye to Suarez. 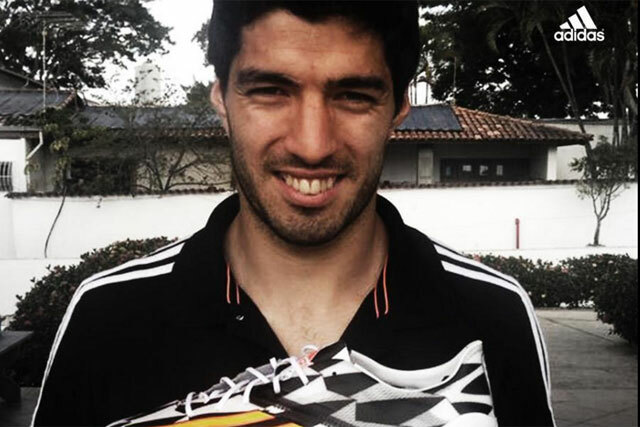 It is slightly different situation facing Adidas as it mulls over what do about Suarez, a fantastic sportsman who was named both the PFA and Football Writers’ Player of the Year for 2014. As a sporting brand, Adidas wants to be linked with high performance, so his brilliance on the field means he still remains an attractive proposition even with his personal demons. There is an argument that Suarez’s professional achievements next season will again dilute the gross misconduct charges of the past as it has before. As we’ve seen so many times before, sport is a fast moving spectacle and attention can quickly deflect onto the next talking point. If this happens, Suarez could become a desirable sponsorship proposition for brands again and maybe this is why Adidas is taking its time to consider its response. You just need to look at Tiger Woods, who lost personal endorsements such as AT&T, Gatorade, and Accenture back in 2010 but was still generating $12.9 million worth of value for his sponsors only two years later. While Nike were one of the brands that stuck by Woods, the nature of the Suarez incident could lead to Adidas having to reconsider its brand values altogether. There are synergies also with the Kate Moss drug scandal situation where a number of fashion brands, notably H&M and Chanel, dropped Moss when the story broke. While many saw this as the beginning of the end for Moss, Sir Richard Branson had other thoughts; lining her up as the face of his Virgin Mobile brand the same year. Like injury, athletes bounce back from scandal and are stronger as a result. But is it third strike out for Suarez? One thing is for sure, you should never bite the hand that feeds you.